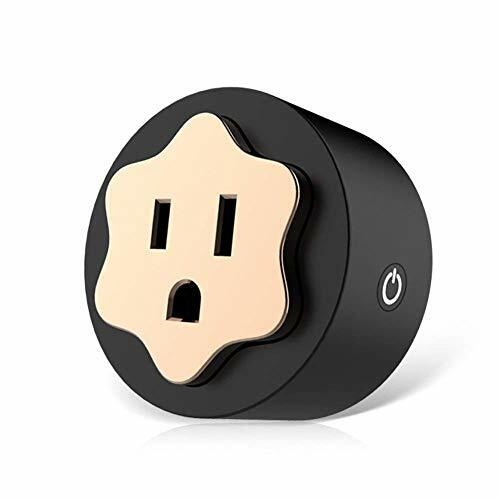 Smart Plug Wifi Mini Socket Outlet Compatible with Alexa, No Hub Required, Wireless Control Your Devices from Anywhere, ETL Certificated Timing Function For Smart Phone by SWISH at Defy Now. MPN: 0039. Hurry! Limited time offer. Offer valid only while supplies last. Simplify your daily life with Voice Remote controlled. One smart phone remote controlled most of your applicances via this smart plug socket. The Wi-Fi Smart Plug works with Amazon Alexa devices & Google Home, such as Echo. But does not work with Computer IPad SmartThing, Homekit. Easy to install, just plug a device into the smart outlet and connect to your wireless network with the Free APP "Smart Life". Only supports 2.4GHz Wi-Fi network. Timing Function: create customized schedule to automatically turn on or off any home electronics or appliances such as TV, Lamps, easy to set time up. The Smart socket is approved with CE, FCC, ETL certification . Safety protection. If you have any questions about this product by SWISH, contact us by completing and submitting the form below. If you are looking for a specif part number, please include it with your message.